Richard Eyre’s thrilling production at the Almeida re-administers, as if for the first time, the devastating shock and the sheer affront of Ibsen’s drama. Best is sensationally good. Her Hedda is achingly alive in her deadliness, and unsentimentally poignant in the way she shows you the underlying vulnerability of this manipulative, socially-conditioned bully. The production is superlatively cast. 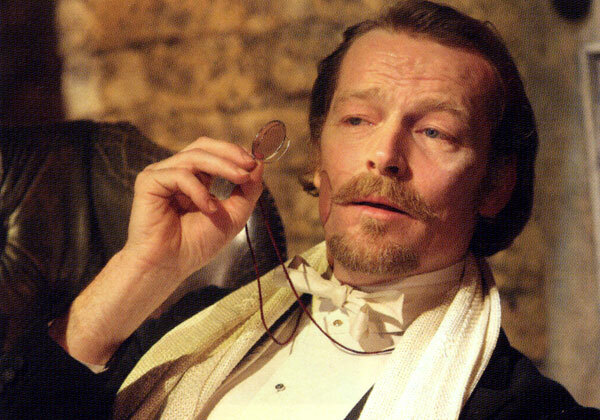 Iain Glen is all suavely lethal insinuation in a frock-coat as Judge Brack. Lisa Dillon projects a wonderful, dogged, fierce integrity (so goading to the heroine) as her antithesis, Thea. Gilian Raine beautifully presents the resented Aunt JuJu. Richard Eyre is doubly to be congratulated, for he has directed the play using his own custom-built translation, which is alert of every blackly comic twist and turn. 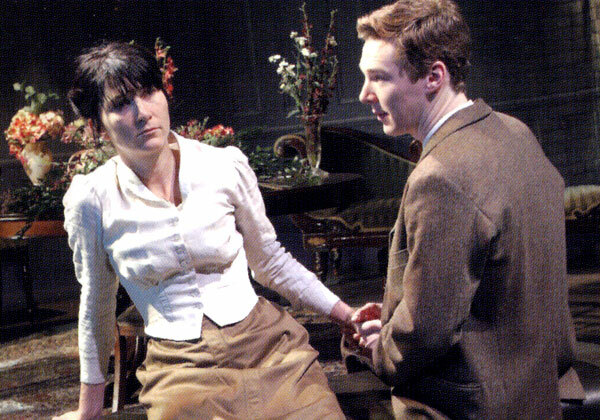 In Richard Eyre’s fine new production, Eve Best gives us a dazzling ironic Hedda: one aware of life’s absurdity and viewing it with a mixture of dark humour and angry exasperation:it is a triumphant performance shot through with a cold-hearted humour and acute self-loathing:Benedict Cumberbatch’s excellent Tesman is not some slippered pantaloon but a youthful scholar who takes his work seriously. 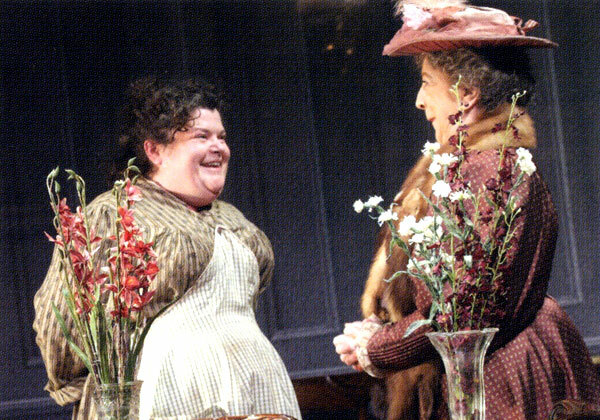 Even Mrs Elvsted, dismissed as a “chumpî by Hedda, becomes a vibrant and positive force in Lisa Dillon’s performance. 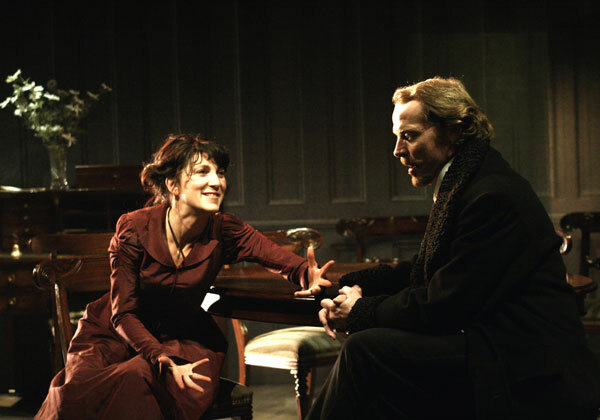 And Iain Glen is a superb Judge Brack: not just a predatory lounge-lizard but a man who sees instantly though Hedda’s mixture of cowardice and social pretence. There is not a weak link in the cast, and Richard Eyre’s production, based on his own sharpening of the text is an exercise in virtuoso stagecraft. The final suicide is a real Tarantino moment, and alone worth the price of the ticket. Best, with a hectic flush on her face and commanding the stage with a wired, dangerous energy, nails all the paradoxes of this great role. Eyre’s production, simply yet atmospherically designed by Rob Howell and making telling use of Saint-Saens’s ominous Danse Macabre between acts, is blessed with some marvelous supporting performances. 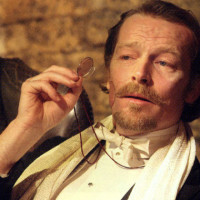 Benedict Cumberbatch memorably captures both the infatuated love and the moral cowardice of Hedda’s second-rate academic of a husband, while Iain Glen is hypnotically sinister as the blackmailing Judge Brack. Jamie Sives harrowingly captures the despair of alcoholic relapse as Eilert Loevborg and Lisa Dillon is deeply touching as the woman who loves him so fervently:the Almeida has an electrifying hit on its hands. Glen is superb as the dangerous Brack, creeping into Hedda’s life like smoke under a door. She never realizes she is being outmanoeuvred at every turn, yet the audience feel a frisson of sexual alarm when he straddles the bench behind her, eyeing her up like a market trader, letting his well-groomed facade drop for the briefest second. 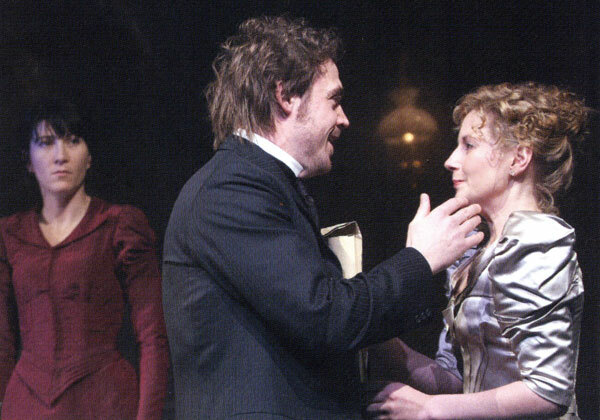 It is rare for a West End transfer production to move with total assurance into its new home, with nothing lost en route – but Richard Eyre’s magnificent, must-see revival of Hedda Gabler, which started out at the Almeida slots into place at the Duke of York’s as neatly as if it had know itself destined to take up residence there all along. Unreservedly recommended. Glen is superb as the dangerous Brack, creeping into Hedda’s life like smoke under a door.